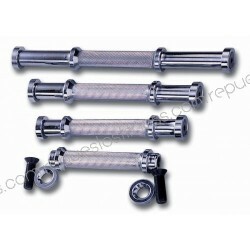 We will detail the most common tasks in maintenance and repairs. We will inform you of our rates and discounts. First free evaluation visit without commitment. 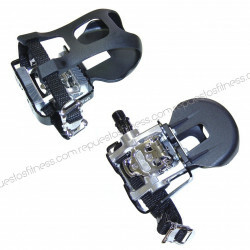 Compatible with all brands and models. 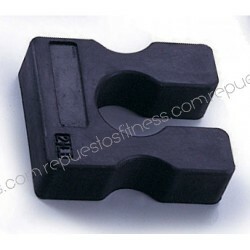 Resistance to abrasion, permanent antistatic. You can process your order in our online store. 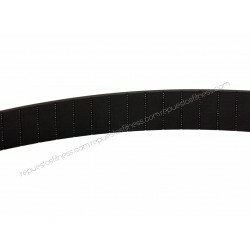 If you cannot find the walking belt you need, please contact us. 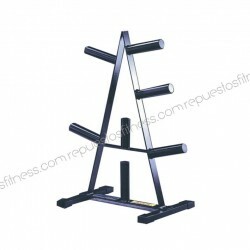 Tree rack with 7 mounts for discs olympic. 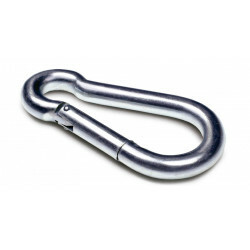 Cable steel laminated 5 mm thick to weight machines in gyms Ideal for the pulleys of the weight machines in gyms and fitness. 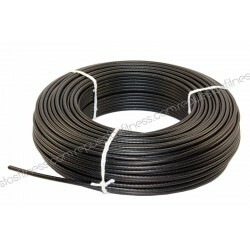 Cable 3 mm steel lined and coated POLYAMIDE color black to a total of 5 mm of thickness outside. 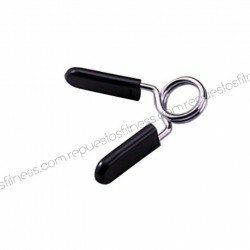 Bar triceps olympic chrome of 88 cm and 9 kg Bar multi-grip ideal for Pushups Presses up All kinds of work from your triceps. 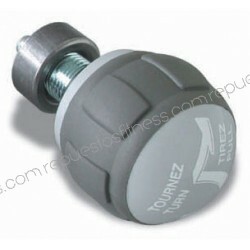 Supplied with collars screw to hold the disc weight. 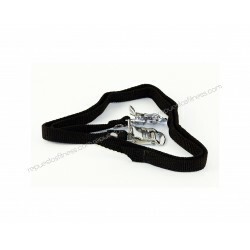 Drinking bottle holder adjustable black Can be used on any type of bike (spinning, static, route, mountain,...) Easy to install and adjustable. 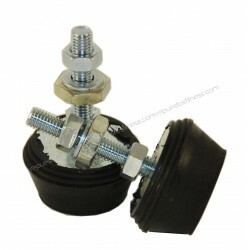 Provides a good fixing of the drum. 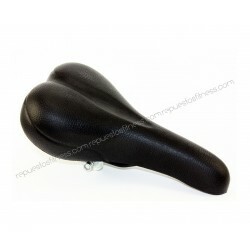 Manufactured in aluminum black. 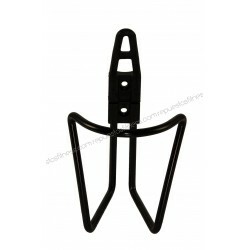 Foot leveller rubber with M8 thread for 80 Kg of weight Resistant to water and oil, self-adhering, suitable for large vibrations and uneven floors. Steel wire laminated from 6 mm of thickness to weight machines in gyms Ideal for the pulleys of the weight machines in gyms and fitness. 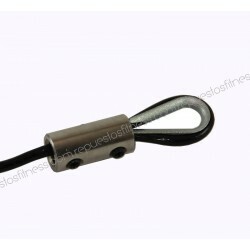 Steel Cable of 4 mm lined coated POLYAMIDE color black to a total of 6 mm of thickness outside. 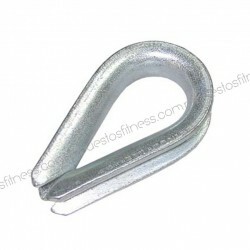 Fastening ring stainless steel for cable Ø5mm Used in the ends of the cables of weight machines. 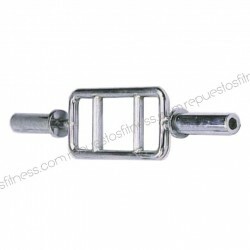 Prisoner with ring chrome plated for cable 5 and 6 mm It is used as a terminal in the weight machines that you need to put a carabiner for handles, grips or other accessories. 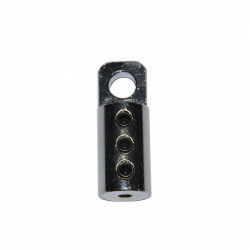 It has 3 locking screws Allen.